Just big enough to fit everything you want in a desktop. 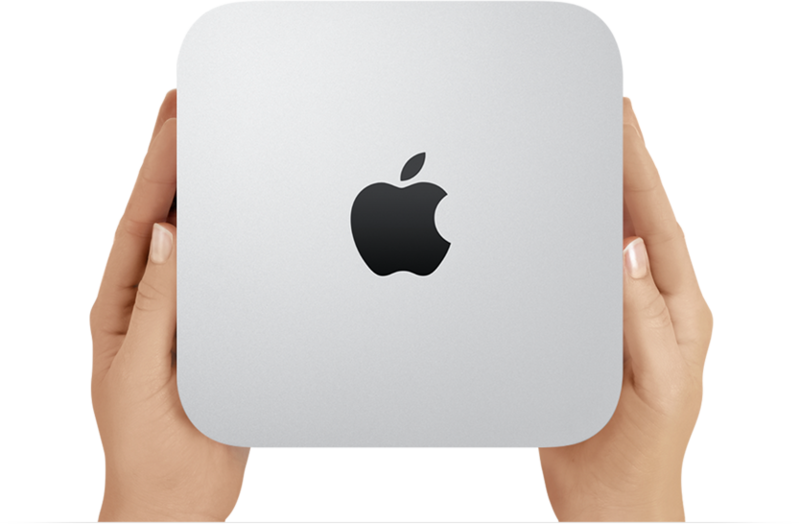 Carved from a solid block of aluminum, Mac mini has a seamless, unique look that is unmistakably Mac. At less than an inch and a half tall and under three pounds, it keeps a low profile without sacrificing functionality. And it’s still the world’s most energy-efficient desktop computer — it doesn’t just meet ENERGY STAR requirements, it exceeds them up to seven times over. With a computer this compact, the only question is what to do with all that free desk space. macOS is the operating system that powers everything you do on a Mac. 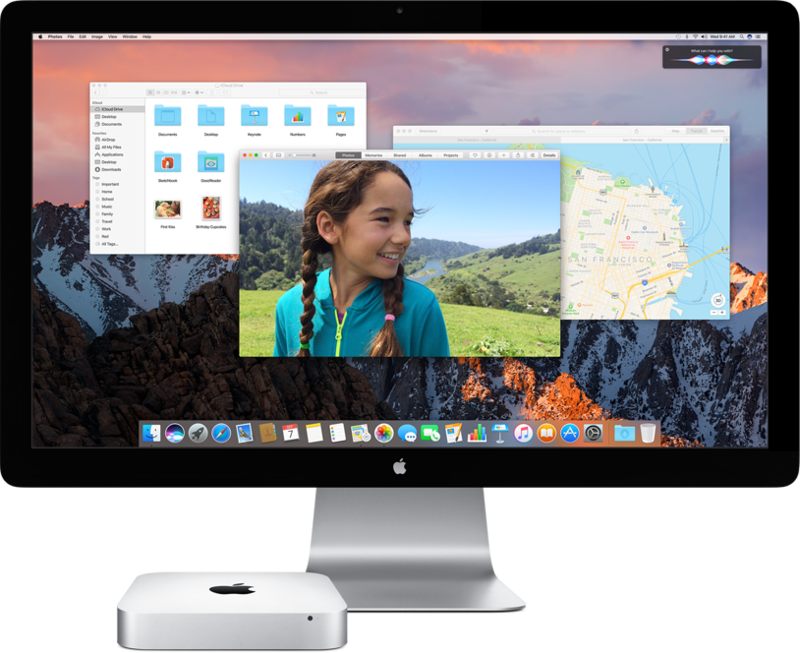 macOS Sierra introduces Siri to Mac — along with new ways to enjoy your photos, shop more securely online, and work more seamlessly between devices. 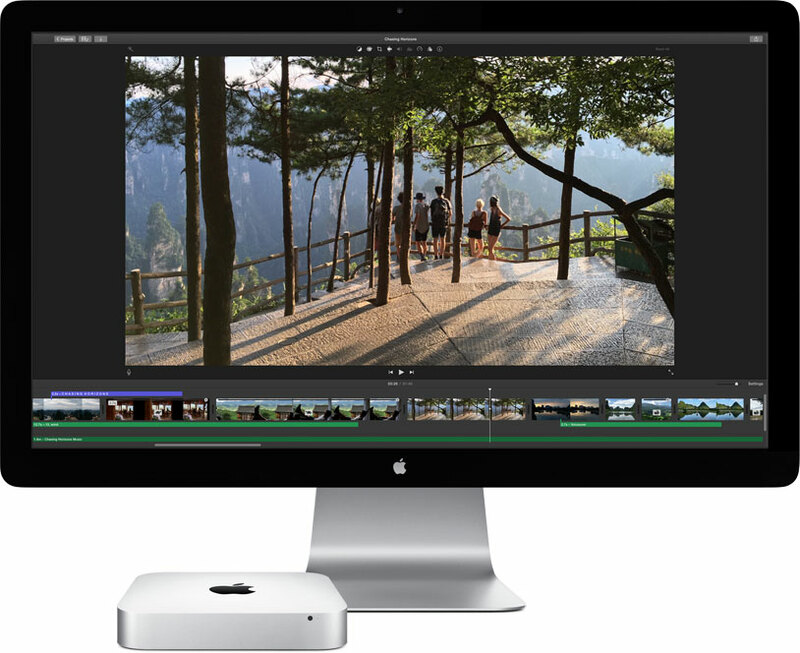 Every new Mac comes with Photos, iMovie, GarageBand, Pages, Numbers, and Keynote. So you can be creative and productive right from the start. You also get great apps for email, surfing the web, sending texts, and making FaceTime calls — there’s even an app for finding new apps.